What is Mix and How Do I Use it for My Business? 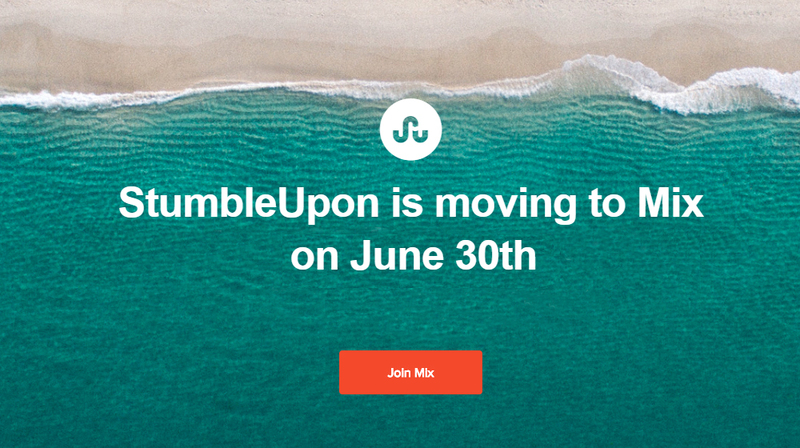 On June 30, 2018, StumbleUpon is moving to Mix. And the new platform has a few features that might be of interest to small business owners and entrepreneurs. Similar to StumbleUpon, the social network site that helps users discover unique and interesting things across the web, Mix provides a new way to discover and save people’s favorite things on the internet. Mix is created and provided by the makers of StumbleUpon. Like StumbleUpon, Mix is part of the Expa family. Expa works with proven founders to develop and launch new companies. Expa was founded by Garret Camp, co-founder of Uber and StumbleUpon. Built upon the legacy of StumbleUpon, Mix enables you to curate and share the best of the internet. The platform learns what you love browsing and searching for across the web, to show you even more of what you are interested in. So entrepreneurs and small business owners can use this site either as a research tool to learn more about their industry and passions, as a networking tool to connect with partners and customers who share their interests or as another way of sharing their content with a specific target audience. From articles and images to videos and music, you can save anything from anywhere on Mix. As long as it’s on the internet, you can add your favorite things to Mix. The social media platform enables you to delve deeper into new topics and explore interests with greater comprehension. Rather than being merely a source for breaking news, Mix is aimed at taking its users deeper into the things that interest and matter to them, helping them learn more about their favorite topics and discover new and interesting things. On this interactive and engaging online discovery site, you can share what you find with other users who have similar interests. How Do You Use Mix? You need to set up an account with Mix to be able to start using the site. You can set up a Mix profile with a StumbleUpon, Facebook, Twitter or Google account. When setting up on Mix, you’ll need to tell the site what you are passionate about surfing on the internet, in order for Mix to provide you with the news, information and recommendations you’re interested in. The different categories of interest include cooking, technology, popular culture, travel, space, healthy living, nature, history, lifehacks, the environment, activism, art, outdoors, fashion and much, much more. Based on your selections, Mix then provides you with relevant stories and information from around the web to enlighten you about your passions. You can create your own profile on Mix, including a bio and image. From your profile, you can post content and share it across the Mix platform, as well as onto other social media sites, including Twitter, Facebook and Pinterest. You can also email posts on Mix to chosen recipients. Like other social media platforms, Mix is centered on interacting with other users by following people with shared interests and passions and growing your own list of followers. It is important to note that Mix should not be confused with Mixx. Similar to Mix, Mixx was a user-driven social media site that enabled users to find content based on their interests. Through articles, images and videos, Mixx allowed users to search, discover and share media relevant to their interests and interact with other users. In 2011, Mixx became Chime.in, which has since terminated its services. The new company Mix.com is built on content discovery. Garret Camp, Expa’s CEO, spoke of the ethos of this new content exploration site. Have you registered yet on Mix.com? We’d love to here what you think about the site.